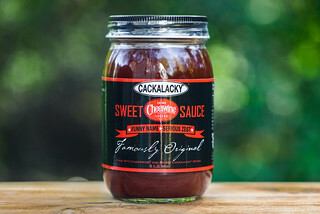 Having a very smooth and mellow balance between tomato and vinegar, this sauce works best as a dip or condiment, best suited to dress a plate of mutton in the true Moonlite tradition. I had the pleasure to sit down and eat my first plate of barbecue mutton with pitmaster Ken Bosley, who's parents Pappy and Catherine were one of the pioneers of this barbecue treat at their restaurant Moonlite Bar-B-Q Inn in Owensboro, Kentucky. The husband and wife team bought the restaurant back in 1963, who transformed the modest 30 seat join into a local barbecue juggernaut that now includes an expanded 350 seat restaurant, catering business, barbecue products line, and even their own meat processing plant. I was blown away by their mutton, and burgoo, so was eager to try out their sauce as well. Through a semi-sweet tomato, the power of the vinegar in this sauce hits. There's a large aroma of onion that comes with it, along with a slight molasses that gives some extra depth to the overall smell. 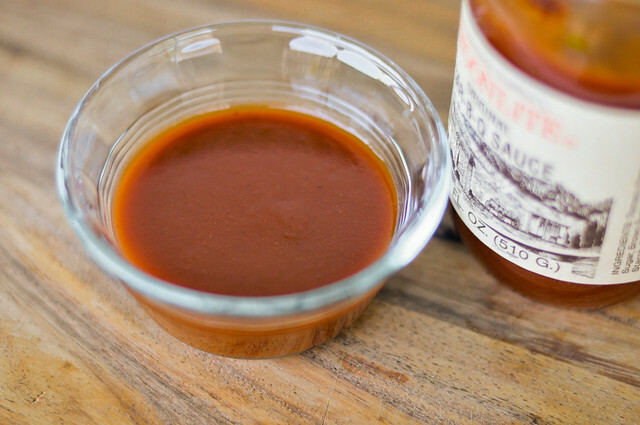 This orange-red sauce runs medium-thin, drizzling in a steady stream off of a suspended spoon. It has an incredibly smooth texture, with some sparse specks of black pepper being the only describable spice seen. This is a very smooth tasting sauce. It starts with a slight sweetness, which gives into a vinegar tang that while quite distinct, is not harsh in any way. There's a taste of Worcestershire and onion powder picked up as well. 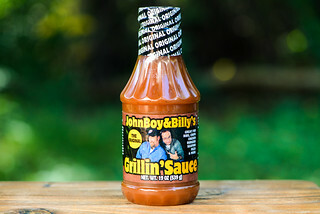 Overall this sauce isn't too sweet and doesn't have much spiciness to speak off with its mellow flavors, which is fairly easy to take with the exception of a slightly odd aftertaste that I can't quite put my finger on. 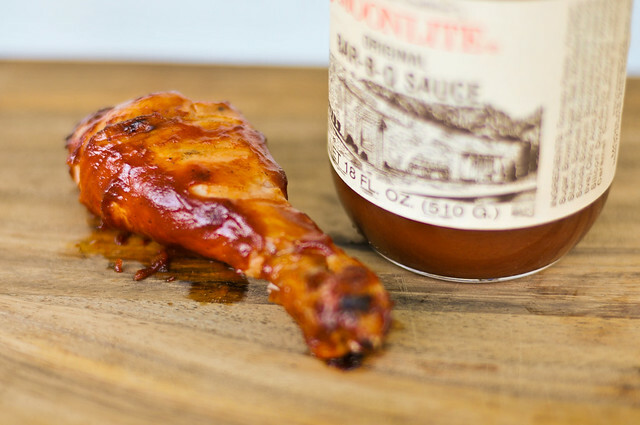 A sauce's flavors can sometimes really pop when introduced with heat, but unfortunately, this sauce saw some diminishment after being cooked on chicken. While the sauce never caramelized, it did bake into the chicken in a somewhat light coating. A little of that smooth vinegar and sweet tomato flavor remained, but it was light, and the dominant taste here was the chicken. 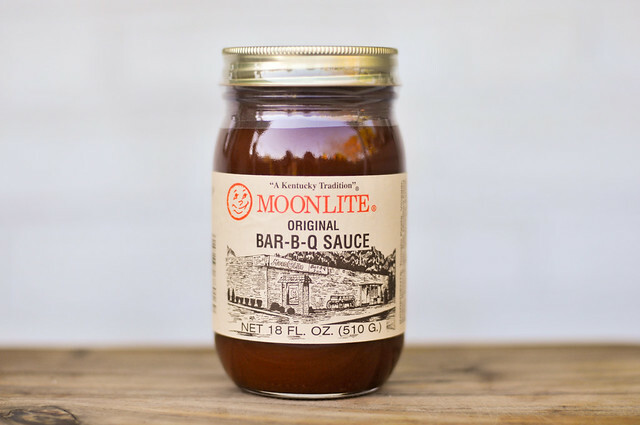 I imagine this was probably the sauce that smothered the mutton I loved so much from Moonlite. It's smooth flavor added just enough sweetness to balance the gaminess in the mutton to make it a joy to eat. It's too bad that using this at home as baste didn't provide such splendid results. 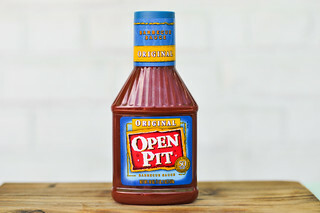 With mellowing flavors almost to a fault on the grill, I would opt to use this sauce as a dip or condiment, where you can make best use of the decent balance between vinegar and tomato on a variety of meats, although I would say go with the Moonlite tradition and throw this on a nice pile of mutton.